Nitro Team Snowboard 2009 As captain of the Future Court Stenographers of America Club in high school, you know a lot about what it takes to make a great team matching haircuts and a well oiled, choreographed cheer. 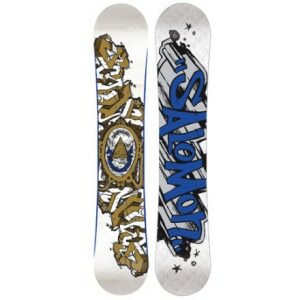 The Nitro Pro Snowboarding Team knows that you'll also need a top performance snowboardenter the Team Snowboard for 2009. This aggressive board is super durable for riders that slam up the terrain park, with a Powercore and Dual Degressive Side Cut. If you're looking for a board that is mega fun to cruise down the powder on, then you'll dig the Bi Lite fiberglass construction that makes for smoothie turns and epic boardslides. Get ready to soar with the Dual Degressive Sidecut, which makes take offs lightweight and effortlesssave the effort for that extra spin! 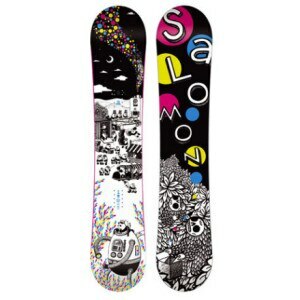 Make a phone call to the club treasurer, and buy your whole team the Nitro Team Snowboard for 2009.